This process of in-depth reflection will give your long-term vision what it needs most – the concrete action you can make today as the first step towards its achievement. 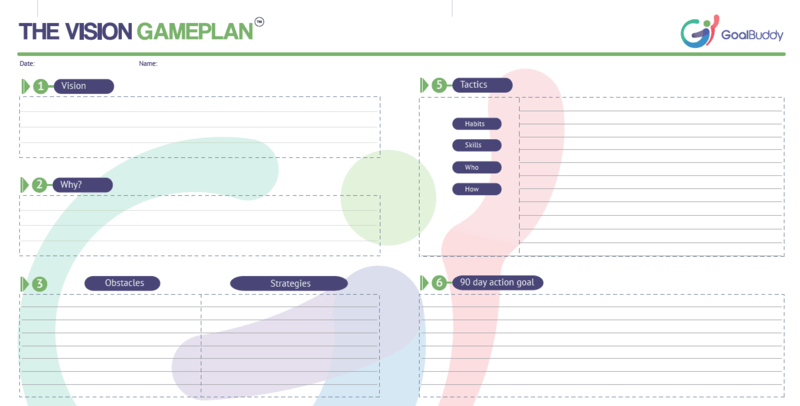 Download the template as many times as you have to and use it to work on each of your long-term goals. Copy the corresponding text from the “What I Want Manifesto” exercise. Come up with a clear answer to why you want to achieve this vision. This will motivate you even more. And in difficult moments, when you are tempted to quit, it may help you come back to your goal. Warning! When you can’t find a good enough answer, then you may have to forget about this goal. Fact: We all have some limiting beliefs. It is also a fact that they cannot simply disappear as if with a wave of a magic wand just because you want it very much. The more you know about them, the easier it will be for you to overcome them. Read this article to find out what the internal reasons might be for your limiting beliefs and how to free yourself from them. Ask yourself why you can’t achieve your big goal right now and what stops you. Of course, there will be a number of challenges and difficulties you can list. What you do about these will determine the difference between daydreaming and actually doing something. Our advice is to look carefully at every single one obstacle and then to compile several strategies to deal with it. The next step is to think of different approaches to your big goal. Can I build some habits that will make it easier for me? If you are short on ideas, check out this article. Do I need additional knowledge and/or skills? Who are the people I know that have achieved such a goal and do they have the resources to help me? It is often easier to ask for help than to try re-invent the wheel. The deadline is within three months. The rule, in this case, is to work on your goal without giving up or changing the course before the end of the specified period. 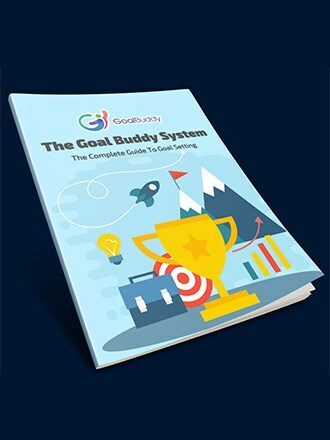 If you feel like learning in more detail, then check out our article on types of goals. And that’s how one can cover the distance between the abstract-looking vision and a completely specific and doable action. This is the small weekly step. At the end of the week, you will determine and specify your action for the next one. So, step by step, every week within the next 90 days, you will make progress in the desired direction. Continue to step 5 of the goal setting process. Travel goals: the simple 4 step method for achieving them. Plus 32 examples.